0753_CILIFO_5_E The project aims at: reinforcing and combining cooperation, work procedures and training between devices for the Prevention and Extinction of Forest Fires in the cooperation area of the Euroregion Alentejo-Algarve-Andalusia. Promoting the creation of durable and quality employment in the area; reducing the economic cost of fires creating rural economy linked to the landscape. Improving the capacity of response to forest fires of administrations and authorities involved in the fight against them in the three participating regions. PTDC/CTA-MET/29678/2017 The projects aims are twofold: the setup of an Air Quality measurement station (AQS) with remote sensing equipment developed at the University of Évora; the development, setup and deployment of a new underwater spectrometric system for the assessment of concentrations of dissolved gases with marked absorption features in the UV-Vis-NIR spectral range in lakes, river and sea environments. ALT20-03-0145-FEDER-028914 Climate change is one of the most important challenges facing humanity in the 21st century. The objective of the project is to establish robust biophysical impacts of land use changes (LUC) on climate across Europe, from regional to local spatial scales and time scales from a few days to multi-decadal. A Regional Climate Model with coupled biosphere and hydrosphere will be used as an ensemble member of the coordinated Flagship Pilot Study “LUCAS” (Land Use & Climate Across Scales) for Europe. The analysis will focus on land/atmosphere interactions and extreme events (e.g. droughts, heatwaves, floods). Experiments shall be conducted from continental down to resolutions below 5 km. The results will allow the proposal to characterise impact of LUC in the present and future climate, from regional to local scales, and to draw mitigation strategies based on LU policies. A pilot region in the south of Portugal is chosen to investigate the local impacts of land use changes. POCI-01-0145-FEDER-030793 Freshwater ecosystems are particularly vulnerable to climate change. Unravelling the links between food web structure and GHG emissions is critical to be able to predict how aquatic ecosystems may potentially be enhancing greenhouse gas emissions, leading to further global warming. 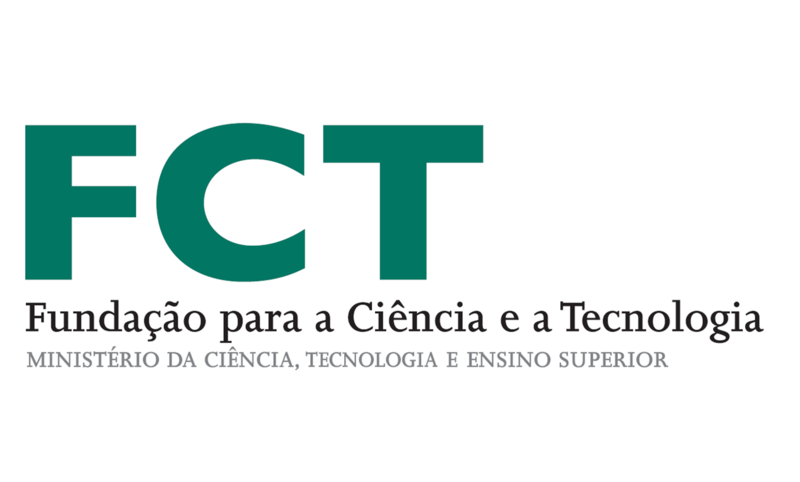 AdaptAlentejo will address this challenge by combining multiple disciplines (physiology, biogeochemistry and geophysics) to answer simple, though complicated to questions: (1) can aquatic species adapt to increased temperatures? Does temperature change how they interact with each other? Do those changes have impacts at ecosystem-level. AdaptAlentejo brings together an international interdisciplinary and partners with EDIA to provide support for conservation and adaptation strategies when facing future environmental changes. SOE2/P1/E0569 The main challenge of the project is the monitoring of ambient air pollution and the real-time air quality information to the public in a sustainable way. The goal is to develop an electronic system based in low cost and low consumption sensors and validate the system in different locations of the Sudoe territory, based on certified instruments for measuring air pollutants. ALOP (Alentejo Observation and Prediction systems): Observation, prediction and alert systems in atmosphere and in water reservoirs of Alentejo ALT20-03-0145-FEDER-000004 The ALOP Project aims to develop a multi-functional activity in the domain of the interaction of atmosphere, water and ecosystems, in the atmosphere and water reservoirs of Alentejo, which contemplates the observation, prediction and alert of risk situations. It is intended to develop tools of observation, forecasting and alert in the fields of meteorology and water (quantity and quality), in an integrated way, at the regional scale. The objective of the project is to continue and expand the operation of an existing network of meteorological stations, designed and implemented for the study of Direct, Global and Diffuse Solar Irradiance and its relation with the meteorological variables. 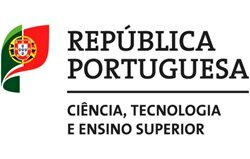 The objective is the enhancement of knowledge and investment in the energy (solar and thermoelectric) and environmental sectors in Alentejo region. Data collection and its analysis is employed for the development of solar radiation forecasting models in the long, medium and short-terms with adequate statistical quality. These studies are essential to highlight Alentejo as a region of excellence for Solar Energy at national and international levels. WARMWHOLE The ICT task aims at improving the prediction algorithm for global solar radiation with correction (based on weather effects) through downscaling techniques physical and statistical information, which is to be later integrated into a model of optimized management of low temperature solar thermal systems. LIFENoWaste – Management of biomass ash and organic waste in the recovery of degraded soils: a pilot project set in Portugal (LIFE14 ENV/PT/000369). 2016-2020. LIFE14 ENV/PT/000369 The project aims to evaluate, demonstrate and disseminate the sustainable use of ash (from forest biomass residues combustion) combined with organic waste materials (sludge from the pulp and paper industry or compost) to regenerate degraded soils from mining areas, in compliance with the EU ‘Thematic Strategy for Soil Protection’. The project also aims to reduce the impact of wastes from the pulp and paper industry on the environment, while making better use of valuable resources according to the ‘end-of-waste’ criteria, while also contributing to the mitigation of greenhouse gas (GHG) emissions. NANOFERTIL – Effect of soil (in)organic constituents on the efficacy, fate and phytoavailability of fertilizer and plant protection manufactured nanomaterials PTDC/AGR-PRO/6262/2014 The goal of the project is to address essential gaps in knowledge about how soil properties, soil organic and inorganic constituents as well as properties and concentration of manufactured nanomaterials (MNMs) affect the spatial and temporal behaviour of nanopesticides and nanofertilizers in soils. This project is also focused on the training of researchers in advanced analytical techniques that allow an efficient characterization of MNMs in various matrices. 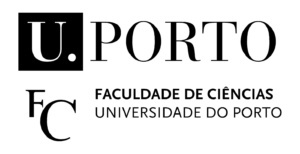 FitoFarmGest – Gestão sustentável de fitofármacos, em olival, vinha e culturas arvenses, na área de influência do EFMA PDF2020-101-030926 The aim of the project is to assess the dynamics of the main phytopharmaceutical groups (including those covered by the Directive 2013/39 / EU as priority substances in the field of water) with environmental and human impact on irrigated crops in the EFMA (Alqueva Multi-Purpose Enterprise) area of influence, thereby promoting their sustainable use and contributing to the improvement of production quality, protection and conservation of soil and water resources. Physical-chemical characterization of atmospheric particulate matter sorbed to allergenic airborne pollen PTDC/ATPEAM/0817/2014 The project aims to develop a groundbreaking work that would perform, for the first time, a longterm complete monitoring and description of particulate matter (physical properties, chemical composition, amount and source apportionment) of inhalable PM sorbed to airborne pollen grains; the driven conditions that influence the sorbing pattern; and the association between peak airborne pollen levels, sorbed PM characteristics and the number of daily emergency room hospital admissions. The study is conducted in 3 cities with different geographical position, meteorological influence and urbanization level corresponding to worldwide type of urbanized environments: Porto (Atlantic coastal city), Guarda (high altitude city), and Évora (influenced by North African deserts). Science and Management of Intermittent Rivers and Ephemeral Streams- SMIRES. COST Action CA15113 SMIRES is a COST Action addressing the Science and Management of Intermittent Rivers & Ephemeral Streams. SMIRES brings together > 200 hydrologists, biogeochemists, ecologists, modellers, environmental economists, social researchers and stakeholders from 31 different countries to develop a research network for synthesising the fragmented, recent knowledge on IRES, improving our understanding of IRES and translating this into a science-based, sustainable management of river networks. A European network for a harmonised monitoring of snow for the benefit of climate change scenarios, hydrology and numerical weather prediction COST Action ES1404 This COST Action on SNOW aims at building a better connection between snow measurements and models, between snow observers, researchers and forecasters, for the benefit of various stakeholders and the entire society. Specifically, the aim is to enhance the capability of the research community and operational services to provide and exploit quality-assured and comparable regional and global observation-based data on the variability of the state and extent of snow. ImpARAS – Improving Allergy Risk Assessment Strategy for new food proteins COST Action FA1402 The multi-disciplinary scientific network will improve strategies to predict the allergenicity of novel or modified proteins or proteins from novel sources with novel and innovative approaches that have not previously been identified. This will allow the transfer of scientific advances to European food companies to develop safe products, advise food safety authorities on better risk assessment strategies and change public opinion on the safety of novel sustainable food. TOPROF – Towards operational ground based profiling with ceilometers, doppler lidars and microwave radiometers for improving weather forecasts COST Action ES1303 This Action focuses on developing three instruments available throughout Europe: i) ceilometers providing backscatter profiles of aerosol and cloud properties with 30m vertical resolution every minute, ii) Doppler lidars providing vertical and horizontal winds in the lower atmosphere with a resolution of 30m every 5 minutes, and iii) microwave profilers giving profiles of temperature and humidity in the lowest few km every 10 minutes. These instruments are relatively inexpensive and have proven suitable for unmanned network operations. In collaboration with Numerical Weather Prediction centres, the action will lead towards operational networking of these existing but so far under-exploited, instruments. ALEX – Alqueva hydro-meteorological Experiment EXPL/GEO-MET/1422/2013 The project includes a hydro-meteorological observation campaign organized by the University of Évora (CGE-UE) and the Alqueva Infrastructure and Development Company (EDIA). The observations made will give rise to an inter-disciplinary database that is expected to be very useful for the various teams working in Alqueva, and also for the national scientific community. Combination of active and passive remote sensing for vertical profiling of aerosol microphysical properties PTDC/GEO-MET/4222/2012 The project aims to explore the combination of state-of-the-art active and passive remote sensing techniques and computation schemes for the vertical profiling retrieval of aerosol microphysical properties; this is crucial step towards a better understanding of the role of atmospheric aerosols on climate. Mapeamento da radiação solar direta normal no Alentejo / Definição dos locais de excelência para a instalação de centrais solares de alta concentração ALENT-07-0827-FEDER-002316 The main objective of the project is the mapping of the direct solar radiation throughout the Alentejo. This mapping is fundamental for the development of new solar concentrating technologies, with applications as the production of electricity, or the heat of process for the industry. SAFE-PORT: Harbour Protection Decision Support System. Provision of services The project project addresses the complex issue of determining the best configurations of resources for harbour and port surveillance and protection. More specifically, the main goal is to find, for any given scenario, an adequate set of configuration solutions — i.e., number and type of sensors and equipments, their locations and operating modes, the corresponding personnel and other support resources that maximize protection over a specific area.